1.5" composite metal deck requires less concrete but spans shorter distances than deeper composite metal decking. It is recommended to pour a minimum of 2" of concrete over the ribs of the deck for a total slab thickness of 3.5". 1.5” composite floor deck panels are primarily used for pouring concrete slabs. Composite floor decks have embossments that grip the concrete slab and they are typically reinforced with rebar or wire mesh which creates a strong bond with the concrete floor. Composite steel deck is a permanent concrete form and provides positive reinforcement while it eliminates the time and cost of wood forming. Why wait? Job site change orders, problems, damaged deck, or new jobs. Whether you need metal deck for concrete or steel roof decking, you can count on O’Donnell Metal Deck. We are committed to providing the fastest and easiest service for metal decking. We offer fast same and next day delivery of our 1.5 Comp Deck to the East Coast — proudly supplying projects in Maryland, Washington DC, Virginia, West Virginia, Ohio, Tennessee, North Carolina, South Carolina, Delaware, New York, New Jersey & Pennsylvania. Galvanized G-60 zinc coated steel is the standard in the deck industry. 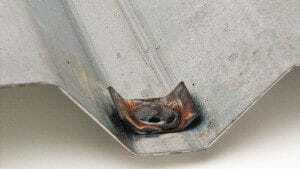 Galvanized G-90 is typically specified for exterior applications or project specific needs. 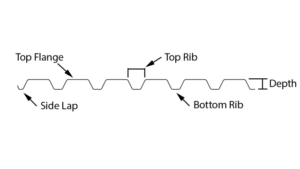 PTD or primer painted is an impermanent, provisional coating and is gray on top and bottom. Work with your engineer or architect to confirm the venting requirements based on the specific materials installed over the deck. We can supply factory punched integral hanger tabs in the deck to provide venting that provide between 0.25% and 0.50% open area. 1.5 composite cellular deck is utilized in exposed ceiling areas where a flat bottom deck and a composite slab is desired. This option can be combined with or without acoustical perforations in the flat plate for sound reduction as needed. 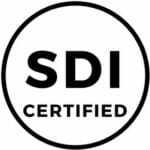 We only supply products certified by SDI members that meet the the strict standards for engineering, design, manufacturing and usage of steel decks. 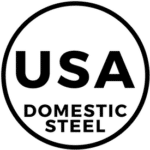 Our products are made with US made steel. 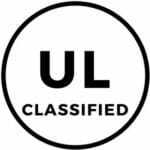 When mill certificates are required, we can provide you the material's physical and chemical properties. Contact Us for more information. Type 1-1/2", 2" and 3" Composite Deck for use in Design No. D779. Your project Engineer will determine your attachment requirements for your design loads, building code and project requirements. 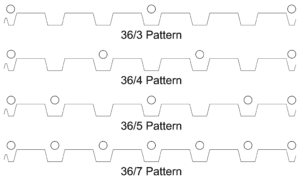 The following standard 1.5 Composite Deck attachment pattern has been provided as a minimum recommendation for the product specified. The attachments should be made to from deck to support, deck sidelap to deck sidelap and seck to perimeter supports.